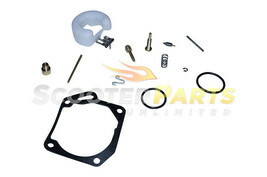 Brand New - Aftermarket - Carburetor Rebuild Kit Fits 50cc Gas Scooter Mopeds Fits Baccio DLX 50 , VX 50 Models ** Fits on the carburetor shown below ** ** The carburetor is not included with the purchase ** Great PRICE!! 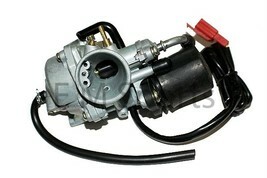 Original Price 29.95 , Buy it now for 17.95! !